Select one of your playlists from the Source list. From the File menu, choose Export Song List. A Save dialog appears. From the Format pop-up menu, choose XML. From the Where pop-up menu, choose Desktop. 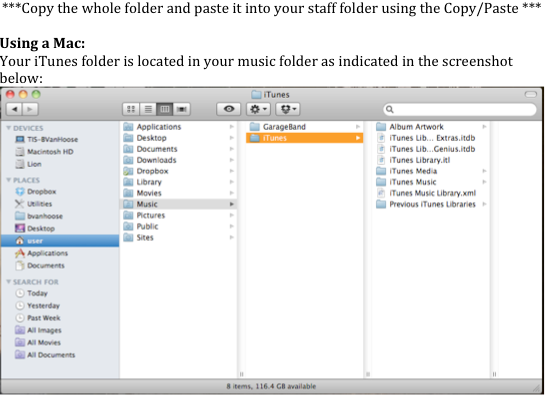 Repeat steps 2 through 6 for each of the playlists that you have created in iTunes. Then move file into your Staff Folder.